What is the Ugliest Car Ever Made? Everyone has heard that beauty is in the eye of the beholder. By our calculations, ugly is also in the eye of the beholder, especially when it comes to automotive styling. What is the ugliest car ever made? The subjective nature of beauty is the same when the discussion turns to the other side of the spectrum. Everyone has a different reason for why they think a car is beautiful or ugly. Some cars you might define as the ugliest could appear on another's most beautiful list. Some of the cars on your most beautiful list might appear as a nomination for the ugliest (I'm sure some of mine will). Even if it might be hard to get a general consensus, you know what you think is the ugliest car ever made. Perhaps you love it, more likely you hate it, either way this automobile has the not so prestigious distinction of being the least attractive to you. You might find its looks repulsive or perhaps you find them captivating. Either way, what do you think is the ugliest car ever made? For me this question is a difficult one. As you might imagine from a guy who loves Exner designed Mopars, my definition of automotive beauty is a little bit skewed. Years of having an eclectic taste in automobiles has made it hard to say what is and isn't ugly. You can only love an old Plymouth for so long until you start questioning when ugly becomes beautiful, but I digress. 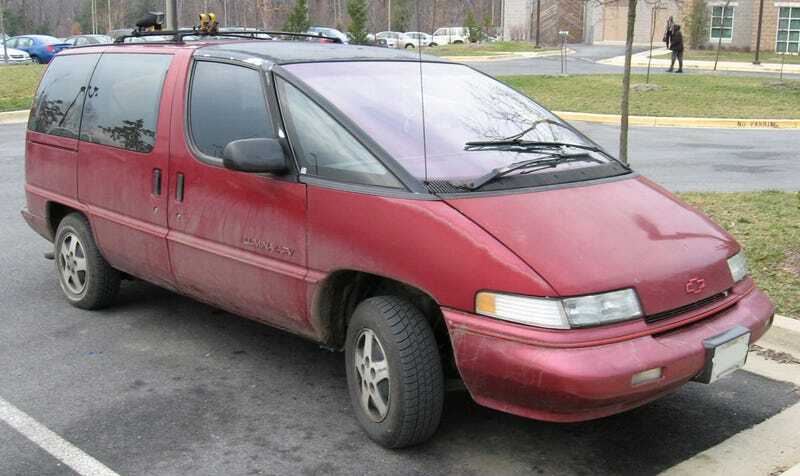 After some thought, I decided on the Chevrolet Lumina APV (the Prius was too easy). The replacement for Chevrolet's mid size Celebrity station wagon in 1990 wasn't a station wagon, or even a car. It was shaped like a dust buster and although Chevrolet referred to the vehicle as an APV (All Purpose Vehicle) it was a minivan. When they first came out, my family couldn't believe how strange they looked compared to our Celebrity station wagon (we called them Moon vans). A few short years later, we were the weird ones for not trading in our station wagon on a minivan. Even though Chrysler's minivans came first and were far more successful, to me the APV will forever represent when minivans made station wagons obsolete. For that, and its bizarre styling choices, the Lumina APV will always be the ugliest car ever made to me, inside and out. I told you about the hard to look at All Purpose Vehicle that represents ugly to me, so what do you think is the ugliest car ever made?